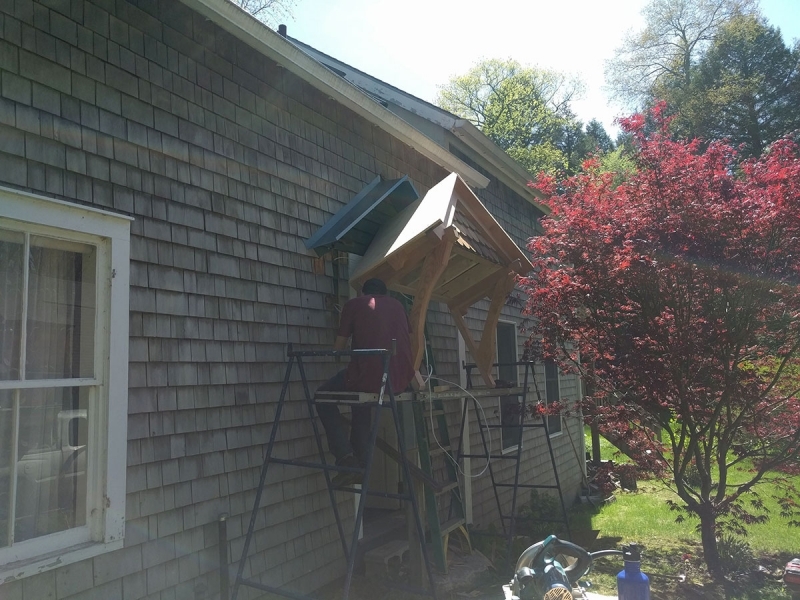 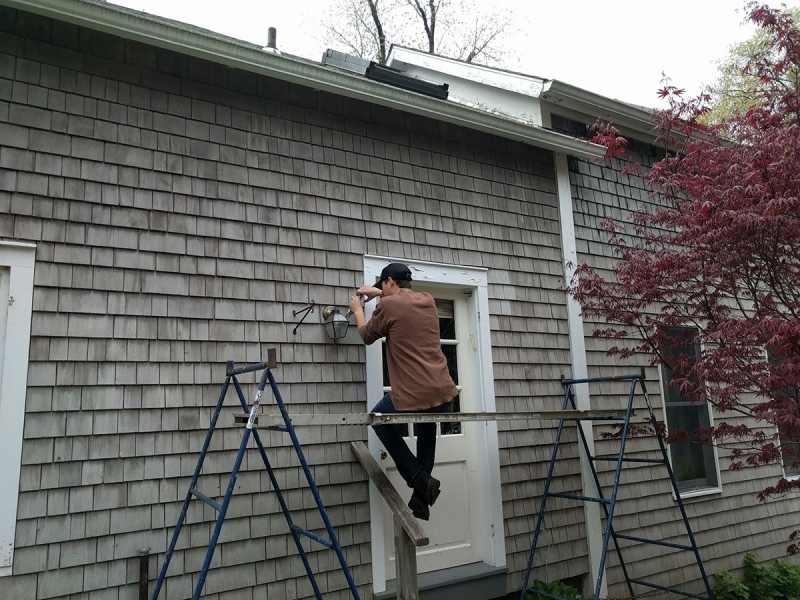 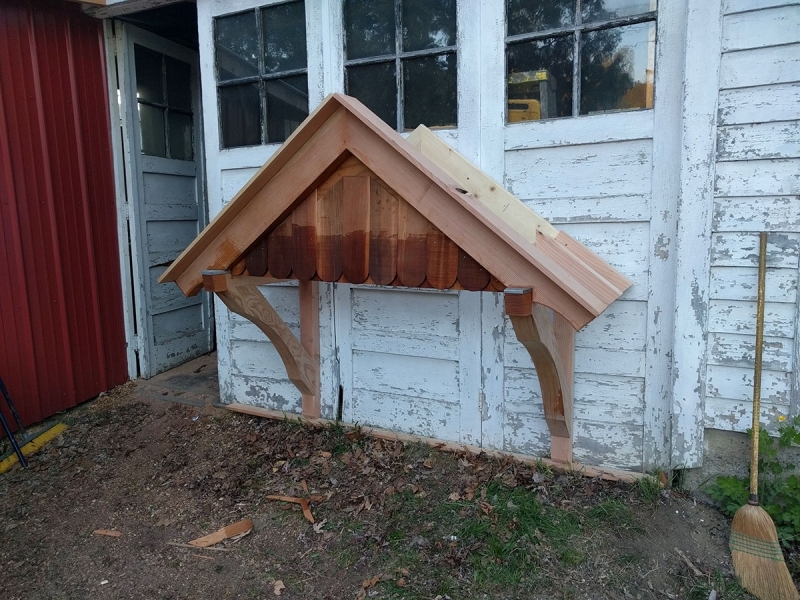 This is a sweet bracketed entry roof I built to create a more formal entrance on this old farmhouse and break up the monolithic side of the house. 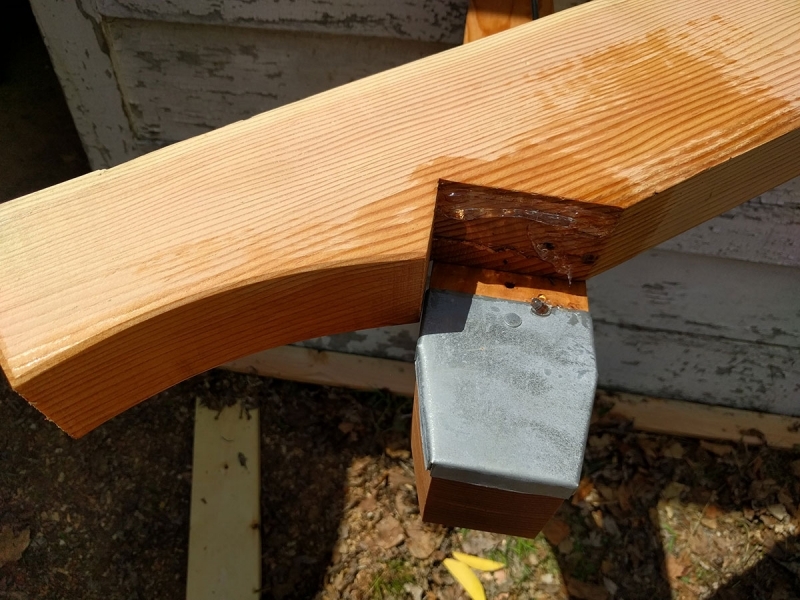 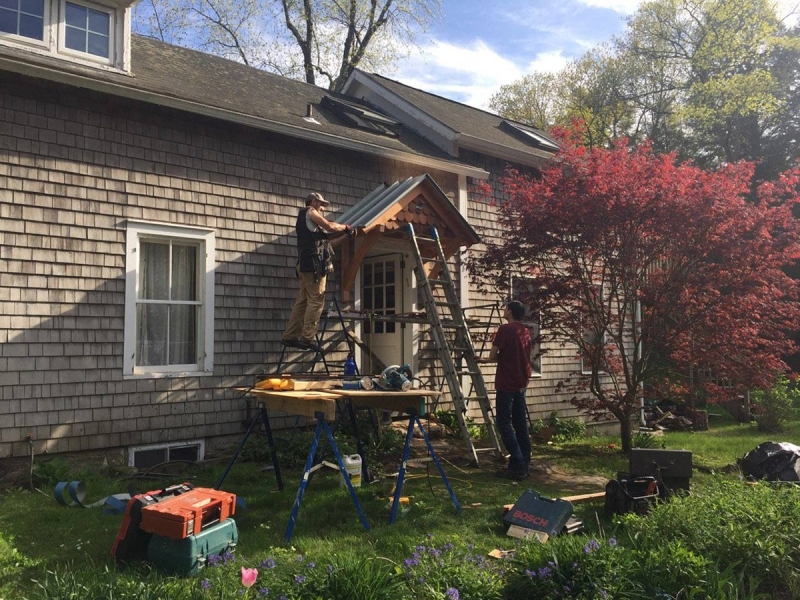 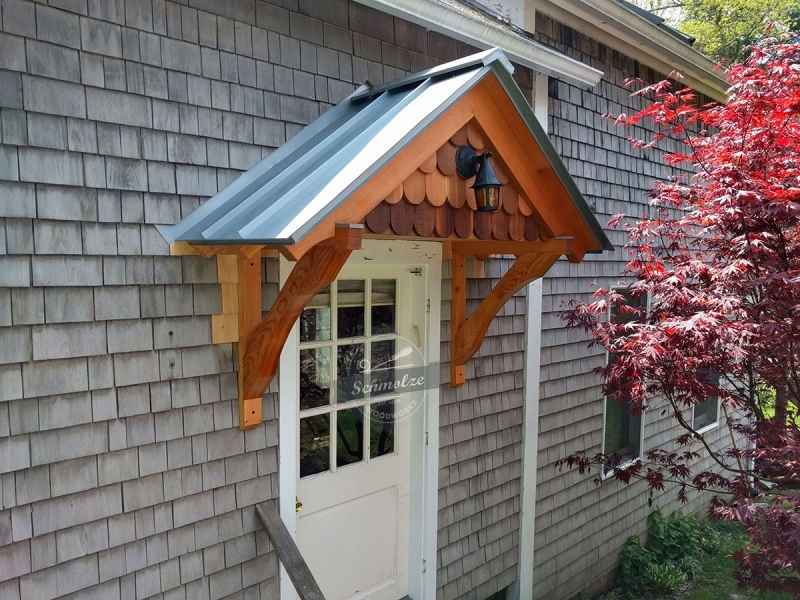 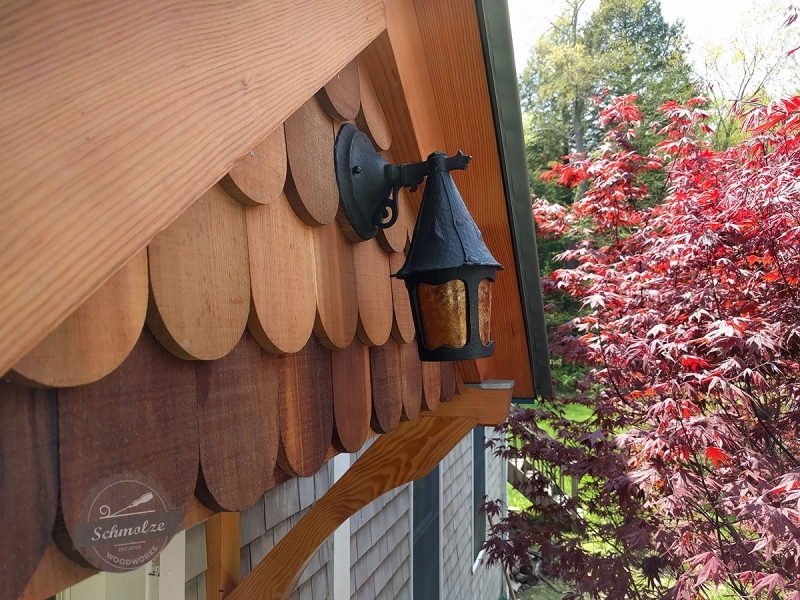 Built from the highest quality materials – solid 4X doug fir rafter facade, thick scalloped cedar shingles, a Rheinzinc standing seam roof, and a beautiful antique light fixture. 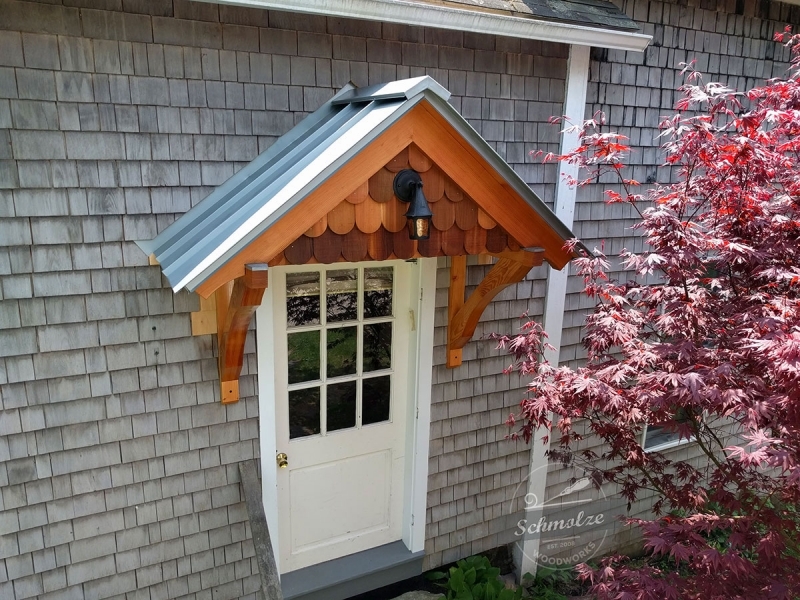 All influenced by the “spirit of the house,” which is very charming, cottage and funky.